– Beware of scam artistshere! 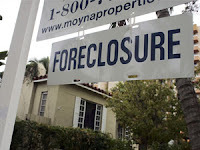 What would you do if you were actually faced with the prospect of foreclosure? Would you have the information needed to make an informed decision on your financial future? Many homeowners think it can or will not happen to them, so they do not take the time to learn what the options are on the best way to move forward in a stressful situation such as foreclosure. I would like to add to the list of steps to take when facing foreclosure – contact an experienced Realtor! Along with a reputable lender, an experienced Realtor can help explain your options and guide you through the choice that is best for you. Many home buyers are not aware of the fact that most moving expenses for a job-related move are tax deductible. If you want the savings, however, it is extremely important to keep detailed records of all moving expenses, including house-hunting trips, if your move is job-related. If you are moving more than 35 miles from your current home, you can deduct all kinds of moving expenses, including but not limited to: your family’s travel expenses, including meals and lodging; the cost of transporting furniture, other household goods, and personal belongings; food and hotel bills for up to 30 days in the new city if you have to wait to move into your new home; and the costs associated with selling your old home or leasing your new home. The IRS’s Publication 521, “Tax Information on Moving Expenses,” provides all of the details on deducting items related to your move, including limits to how much you may deduct. You can download the publication using the link above, or pick it up for free at any IRS office! Thinking about moving to Ludlow, VT? Start by searching the MLS here, or call me at 802-353-1983 for all of your Ludlow VT real estate needs! What Is Your Ludlow VT Home Built On? Many of us may just think of it as the dirt and grass that our home is sitting on, but the makeup and quality of the soil upon which your home is built is extremely complex and varies from area to area. Investigating the soil on your property can tell you a great deal about the history and future of not only your home, but also about the land you have invested in.Web Soil Survey website that contains digital maps and unbelievable amounts of digital soil data that has been methodically collected. Just type in your address and then explore almost anything you ever wanted to know about the soil upon which your home is sitting including chemical properties, erosion factors and likelihood, and its drainage class.click here to request a complimentary e-book filled with information about selling your home and moving with kids and/or pets. Or feel free to visit my website or email me if you would like to learn more about Okemo Mountain VT real estate. I’m here to help! This is valuable information if you are considering building an addition to your existing home or just want to feel confident that the soil upon which your family treads every day is safe. Here in southeastern Michigan, as in many areas across the country, we continue to have a swollen inventory of homes for sale. It started with overbuilding and overly inflated home prices. Eventually the market had to re-adjust, and when it did so, foreclosures added to our already large inventory of homes for sale. Now with money getting tighter, which means less buying power, there are fewer home sales. Mortgage rates have been increasing. And every time the mortgage rates go up, even a quarter of a percent, a large number of potential buyers are disqualified from the marketplace. Additionally, a number of mortgage companies are going out of business, with American Home Mortgage Company – the tenth largest in the country – as the latest to close their doors. In recent years mortgage companies granted mortgages to just about anyone, including those who couldn’t or wouldn’t prove their income, those with no down payment and even those with very poor credit. But today, with foreclosures climbing steadily, almost all mortgage companies have re-enacted the tight lending restrictions that were common decades ago. The result of all this is that there are fewer buyers now to purchase those homes on the market so the inventory continues to be swollen. Statistics from First American Real Estate Solution show if one house forecloses in a neighborhood, the average house in that neighborhood loses five percent of its value. If eight percent of the houses in the neighborhood foreclose, the value in that neighborhood goes down twenty percent. Recently President Bush has been exhorting the lenders to try to help out those who are facing foreclosures. Just what can be done is yet to be seen, but some lenders are more willing than others to try to work with a homeowner who is in financial trouble. If you or a family member are having trouble making your mortgage payments, it is advisable to discuss your situation with your lender now. Or, if you have a very experienced Realtor who has seen good and bad markets over time, you might want to discuss your situation with that person before going to the lender. Today’s mortgage market is uncertain, to say the least. Because of this, many investors and second-home buyers are jumping to the conclusion that paying cash is always the best way to finance their investment home.Real Estate Journal. Read her response and remember that an experienced Realtor is your best resource to help you find a lender who will give you sound, unbiased advice on the best way to finance the purchase of your dream home.click here to begin searching the Ludlow VT MLS. You may also visit my website or email me to learn more about Okemo Mountain real estate. I would love to help you invest in your dream vacation home! Paying cash certainly eliminates the risk that comes with rising interest rates and the growing rate of foreclosure. But does it limit the tax benefits of homeownership? And can you really afford to have that much money invested in one asset?